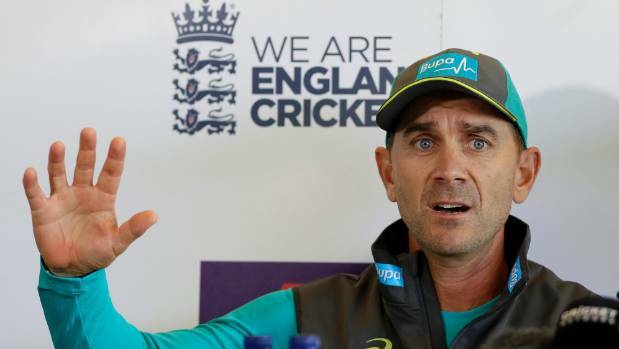 Stuff – New Australian cricket coach Justin Langer has warned his players to be ready for a barrage of verbal abuse from English fans during the one-day series. New Australian cricket coach Justin Langer has warned his players to be ready for a barrage of verbal abuse from English fans during the one-day series. Langer said that was just a fact of life for his team until they could repair their tarnished image following the bans to team leaders Steve Smith and David Warner along with youngster Cameron Bancroft. * ‘Sledging is a good thing’ – Langer * Banned Warner to TV commentate on Aus v Eng ODIsEngland’s notorious Barmy Army can be merciless and will surely remind the Australians of their sins once the internationals start this week. Langer said his team had it all in front of them now to convince the cricketing public of their new mindset. Australia have beaten Sussex and Middlesex in their two warm-up matches and play the first of five ODIs against England on Thursday (NZT). West Indies v England: first T20 international – live!